The 32 Domestic Champions path teams compete in two rounds of knockout ties starting in October. The 32 Domestic Champions path teams compete for eight play-off berths in two rounds of home-and-away knockout ties. 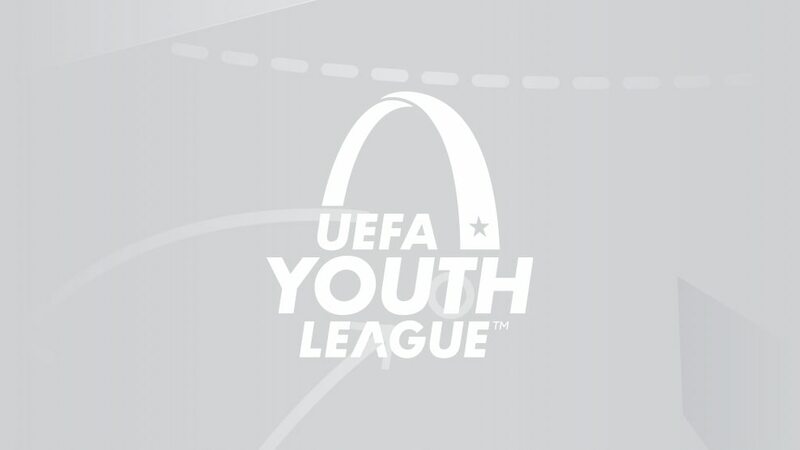 This path involves the domestic youth champions of the 32 best-ranked associations in the 2017 UEFA association coefficient rankings (the same rankings used to decide access to the 2018/19 UEFA Champions League and UEFA Europa League). Vacancies in the domestic champions path (because a club is instead eligible for the UEFA Champions League path, for example Atlético and Inter) are filled by the domestic youth champion of the next best-ranked association (in the above cases, Moldova and Iceland). Chelsea, who won this competition in 2014/15 and 2015/16 but lost last season's final to Barcelona, enter this path. Two-time semi-finalists Anderlecht keep up their record of entering all six editions. Debuts: AEL Limassol, Anji, Bohemians, FC Admira, Hamilton Academical, Hertha Berlin, Illés Akadémia, Lech Poznań, KR, Montpellier, Septemvri Sofia, Signa Olomouc, Žilina. In the draw on 17 December, the eight Domestic Champions path survivors will be drawn at home to the eight UEFA Champions League path runners-up in one-off ties to be played on 12/13 February to decide the eight remaining round of 16 berths. The other eight places are taken by the UEFA Champions League path group winners. Four geographical groups were formed, with no seeding. For all four groups, one pot was prepared with eight balls, with each ball containing the name of a domestic champions path team. Starting with Group 1, the eight balls were placed in a large central bowl and shuffled. Two balls were drawn from this bowl. These teams will play each other, with the first team drawn playing the first match at home and the return away. The same previous step was carried out with the remaining balls in the bowl to complete the pairings for Group 1. The last three steps were then carried out for the other groups. The 16 first-round pairings were split into two geographical groups (Groups A and B) consisting of eight pairings each, with no seedings. Group A contained the pairings of Group 1 ('Winner of match 1' to 'Winner of match 4') and Group 2 ('Winner of match 5' to 'Winner of match 8') from the first round; Group B contained the pairings of Group 3 ('Winner of match 9' to 'Winner of match 12') and Group 4 ('Winner of match 13' to 'Winner of match 16'). For Group A, all the pairings from Group 1 and Group 2 were placed in a large central bowl and shuffled. Two balls were drawn from the bowl. These pairings will play each other, with the first pairing drawn playing the first match at home and the return away. The same previous step was carried out with the remaining balls in the bowl to complete the pairings for Group A. The last three steps was then carried out for Groups 3 and 4 to determine Group B.